The IMNS is happy to welcome Yuki Okamoto, who will be giving a talk on his research at the University of Tokyo. All are welcome to attend this Summer Special Seminar, we look forward to seeing you there. As microfluidics are utilized more and more, the ability to integrate actuators into micro-channels is becoming an area of growing importance and interest. In particular, MEMS micro-pumps are key components to enable liquid to circulate on chip-scale devices. However, there is still work to be done to improve the capability of these micropumps, and one of the largest issues is the driving circuit. 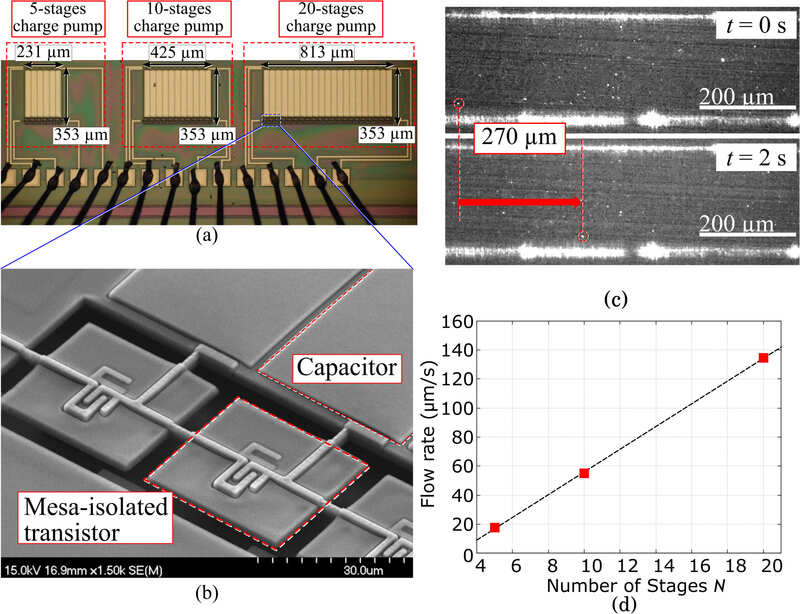 In this presentation, Yuki will describe a high-voltage switching circuit and a high-voltage generator developed using MEMS post-processed mesa-isolated transistors. His devices are fabricated using standard CMOS foundry processes and MEMS post-processing. He has successfully demonstrated these post-processed 30 V CMOS switching circuits, as well as a 95.2 V high-voltage generator. His talk will include using the high-voltage generator to drive an electro-osmotic flow MEMS micropump. Yuki Okamoto received his B.S. and M.S. degrees in electrical engineering in 2015 and 2017 respectively, from the University of Tokyo. He is currently a postgraduate researcher at the University of Tokyo and a Japanese Society for the Promotion of Science (JSPS) Doctoral Fellow. His research is concentrated on cooling LSIs using CMOS integrated intelligent microfluidics.